You decide how much to contribute, and you have until your tax-filing deadline (including extensions) to establish your plan and contribute for the previous year. SEP IRAs require less paperwork than many small business retirement plans, leaving you more time for your business. Contributions you make as the business owner are generally tax deductible by the businessFootnote 1, and you can contribute nearly 10 times more to a SEP IRA than a standard Traditional IRA. For details, read the SEP IRA fact sheet (PDF). *Other fees may apply. Sales are subject to a transaction fee of between $0.01 and $0.03 per $1,000 of principal. There are costs associated with owning ETFs. 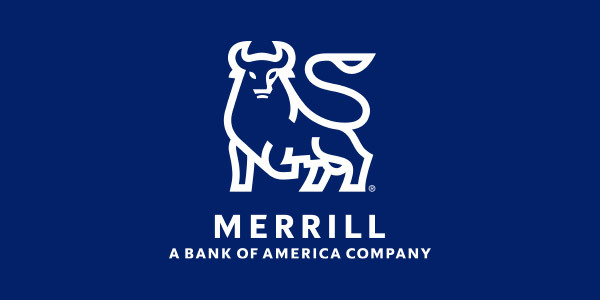 To learn more about Merrill Edge pricing, visit merrilledge.com/pricing. It takes just minutes to set up your account. Your employees, if you have them, will set up their own, and there are no program or administrative fees for accounts opened online. Fund instantly from your Bank of America® bank account or Merrill Edge investment account. Consolidate your retirement assets by rolling over accounts held in former employers' 401(k), 403(b) and 457 plans into a Merrill Edge SEP IRA. Build a balanced portfolio aligned to your investment goals. Read "3 simple steps to building a balanced portfolio"
Choose from a full range of stocks, bonds, options, ETFs and well-known mutual funds — all with simple flat-rate pricing. Narrow your investment choices with our easy-to-use screening tools. Access your new Merrill Edge investing account 24/7 — online and on your mobile device. Why should I consider opening a SEP IRA instead of a Traditional IRA? With a SEP IRA, your business and employees (including you) can benefit. Contributions you make to the individual accounts under your plan are generally tax deductible by your business.Footnote 1 You also have the opportunity to contribute nearly 10 times more to a SEP IRA than a Traditional IRA. Employer contributions are limited to the lesser of $55,000 ($54,000 for 2017) or 25% of eligible compensation (20% of self-employed net earnings).Footnote 5 Learn more about SEP IRA contribution limits. Contributions are made only by you as the employer. Can I roll over funds from a retirement account with a previous employer? Yes. You can consolidate your retirement assets by rolling over accounts held in former employers' 401(k), 403(b) and 457 plans into a Merrill Edge SEP IRA. Footnote † You have choices about what to do with your employer-sponsored retirement plan accounts. Depending on your financial circumstances, needs and goals, you may choose to roll over to an IRA or convert to a Roth IRA, roll over an employer-sponsored plan from your old job to your new employer, take a distribution, or leave the account where it is. Each choice may offer different investment options and services, fees and expenses, withdrawal options, required minimum distributions, tax treatment, and different types of protection from creditors and legal judgments. These are complex choices and should be considered with care. Visit www.merrilledge.com/retirement/rollover-ira or call a Merrill Edge rollover specialist at 888.637.3343888.637.3343 for more information about your choices. Footnote 1 As the business owner, your contributions to your SEP IRA account and deductions for such contributions may vary based on your net earnings and self-employment tax deduction. Please consult your tax advisor. Footnote 2 For more information, visit www.irs.gov/retirement-plans/retirement-plans-startup-costs-tax-creditwww.irs.gov/retirement-plans/retirement-plans-startup-costs-tax-credit. Footnote 3 $0 trades are only available with an individual or joint Merrill Edge self-directed brokerage account. When placing a trade, Merrill Lynch, Pierce, Fenner & Smith Incorporated (MLPF&S) determines whether you meet the balance or relationship requirements to qualify that trade for the $0 waiver. To determine the number of qualifying trades, MLPF&S adds the qualifying trades in your individual accounts and joint accounts. Commission fees apply when qualification requirements are not met, or when you exceed the number of qualifying trades a month. Brokerage fees associated with, but not limited to, margin transactions, option trading, special stock registration/gifting, account transfer and processing, research request and termination apply. Footnote 4 Certain banking and brokerage accounts may be ineligible for real-time money movement, including but not limited to transfers to/from bank IRAs (CD, Money Market), 529s, SafeBalance Banking®, Credit Cards and transfers from IRAs, Loans (HELOC, LOC, Mortgage) and accounts held in the military bank. Accounts eligible for real-time transfers will be displayed online in the to/from dropdown menu on the transfer screen.